Let’s be honest. Most business owners are really good at making excuses for why they have not done something or achieved their full potential. It will generally involve the economy, bloody staff, suppliers, customers or that the moon isn’t aligned this year. As a business transformation specialist I hear them all. And boy oh boy are some inventive! So ask yourself. 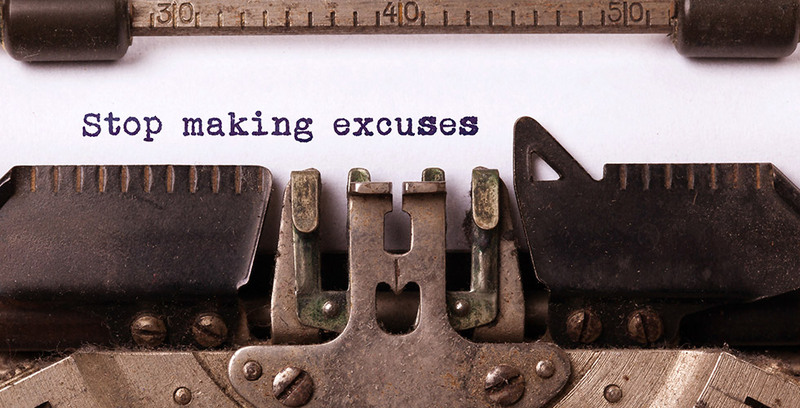 What will be your excuses this year? Will you tolerate them again OR will you take action to eliminate anything in your way! At the end of the day it is all YOUR CHOICE. Do the same and achieve the same or do something different and get a different result. If this sounds too hard or you acknowledge your in denial then get some help. Have someone champion you beyond yourself. It always amazes me how many times I see more potential in others than they see in themselves. It is ALWAYS there… It’s just a matter of choosing to unleash yourself, excuses and toleration free. If it is time to unleash yourself, remove any blockages and make 2016 an EPIC year then give me a call on 027 669 5354.